Cookies are special files in browsers in which websites can store certain data. The browser will store the information in cookies and transfer it back to the website with each website visiting. For example, referral links are stored in cookies. If you visited a website with a referral link, then the information about the referral link will be stored in the browser cookie. If you do not register at this visit, the browser will remember that you used this referral link and will transfer it to the website for all subsequent visits. Web sites can add tracking parameters to your browser. Using cookies, it is possible uniquely identify multiple visits with one browser. Cookies can be disabled in browsers: Mozilla Firefox, Google Chrome Chrome, Opera, Safari, Yandex Browser, Microsoft Edge and Internet Explorer. You can check whether cookies are accepted by your browser on the page Cookies and IP address check. If you have the value Disabled, it means that you have already disabled cookies, or it is not enabled by default in the browser. If Enabled, read on how to disable. To disable cookies in Google Chrome, go to Settings. In the search bar, type cookies and open Content settings. 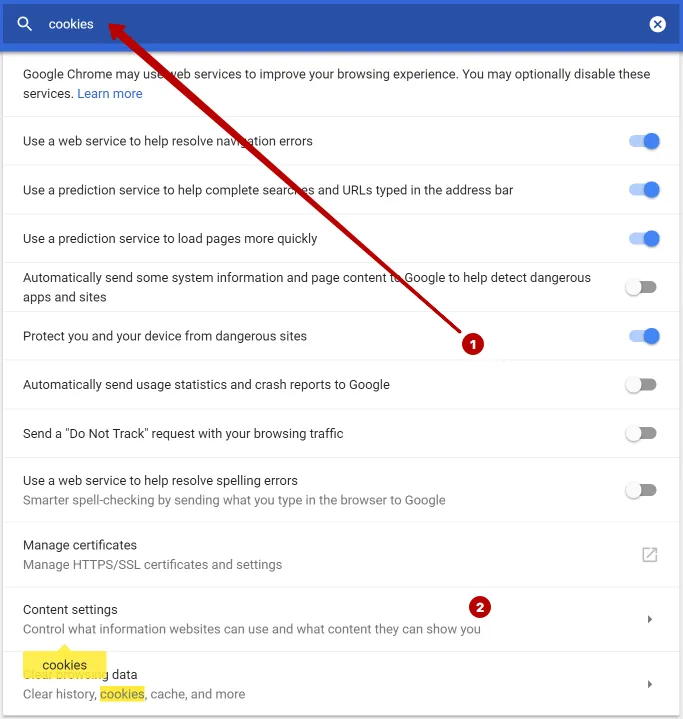 Disable cookies in Google Chrome. 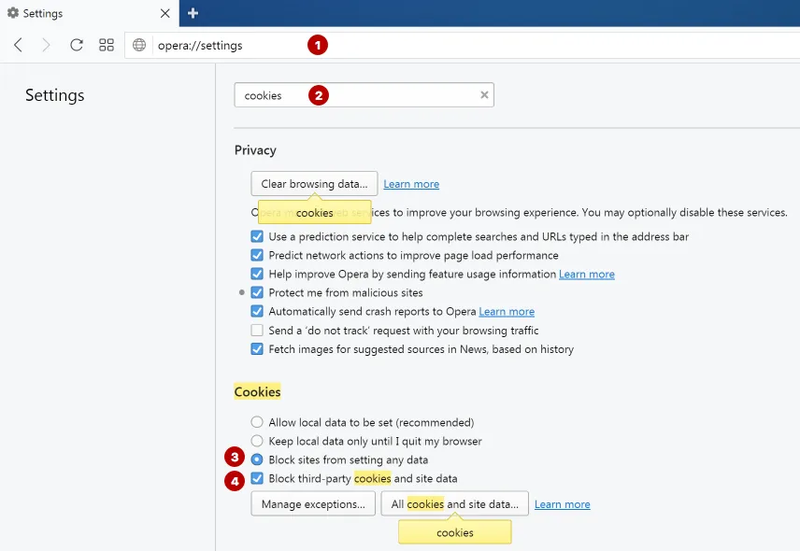 To disable cookies in the Mozilla Firefox browser, go to Options. 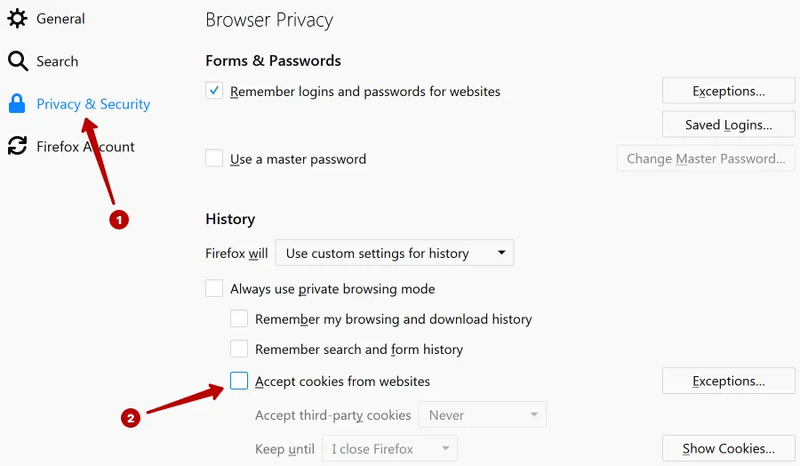 Choose tab Privacy & Security and disable cookies in Firefox. 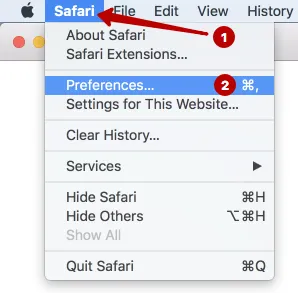 To disable cookies in Safari, go to Preferences. Disable cookies in Safari on the Privacy tab. To disable cookies in the Opera browser, type the following into the address bar and press Enter. 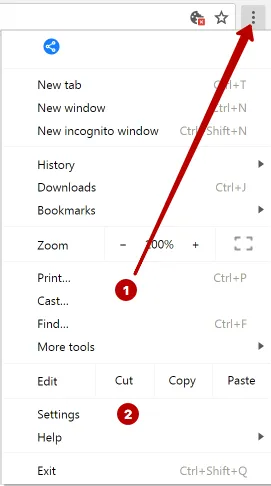 In the search bar, type cookies and disable cookies in the Opera browser. 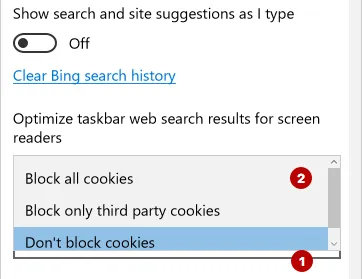 To disable cookies in Yandex Browser, go to Settings. In the search bar, type cookie and press button Content settings. Disable cookies in Yandex Browser. 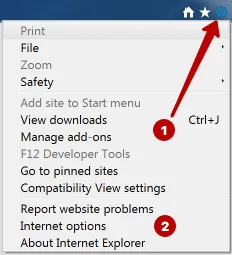 To disable cookies in Internet Explorer, go to Internet options. 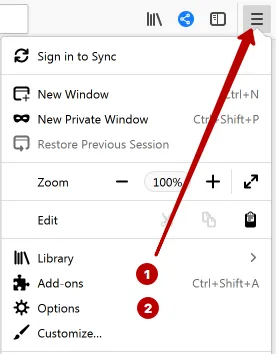 On the Privacy tab, click Advanced button. Disable cookies in Internet Explorer. 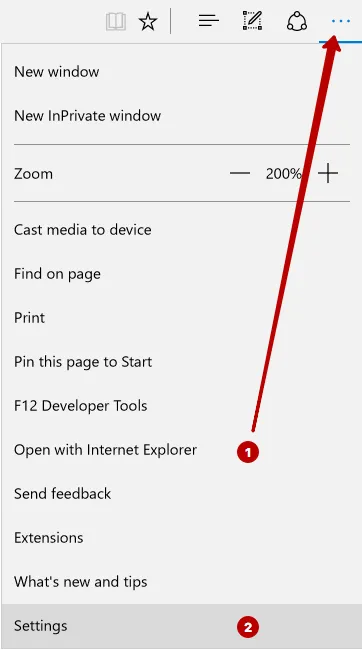 To disable cookies in the Microsoft Edge browser, go to Settings. 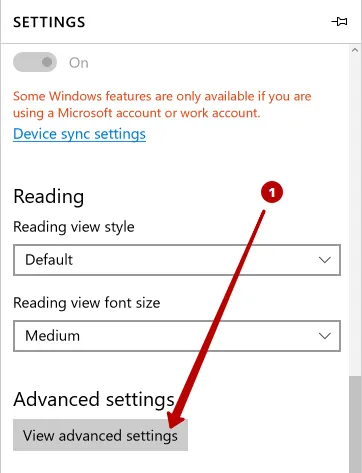 Scroll down and click the View advanced settings button. 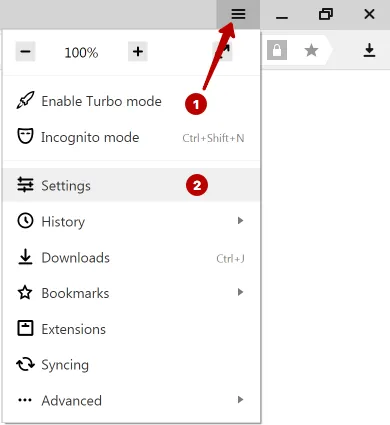 Disable cookies in Microsoft Edge. Get more information on how to be anonymous on the Internet.